Set in London, this apartment features a garden with a terrace. Guests benefit from terrace. Free WiFi is featured throughout the property. The kitchen comes with a dishwasher, an oven and a microwave, as well as a coffee machine and a kettle. 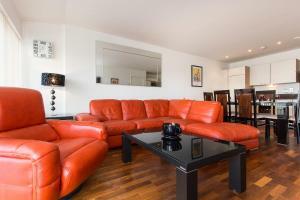 See all Arsenal Apartment Highbury reviews..